1. Dog, 2. of or relating to dogs or to the family including the canids. 1. Freedom from prejudice; fairness; honesty. 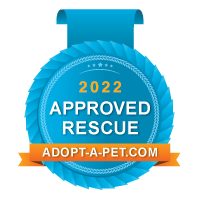 Canine Candor is a foster based rescue designed to provide rescue, temporary housing, rehabilitation, permanent placement and networking to dogs in need. Canine Candor relies on foster homes and donations to be able to rescue dogs! Please consider opening your home to a foster dog or making a donation to help dogs get out of emergency situations today! Thank you for visiting our website, please look around and let us know if you have any questions or if there is anything we can help you with today! Copyright © 2011-2017 Canine Candor, Inc. All Rights Reserved.